Footballers in Italy’s Serie A should stage sit-down protests on the pitch if there is racist chanting during a match, Reuters quoted former Juventus, AC Milan, and Real Madrid coach Fabio Capello as saying on Monday. Italian football has struggled to stop racist behavior by fans, and the problem returned to the spotlight when Napoli’s Senegalese defender Kalidou Koulibaly was taunted during a match against Inter Milan at San Siro. Napoli coach Carlo Ancelotti said his team would walk off the pitch if there were a repeat, leading to a debate as to whether teams should take the law into their own hands. 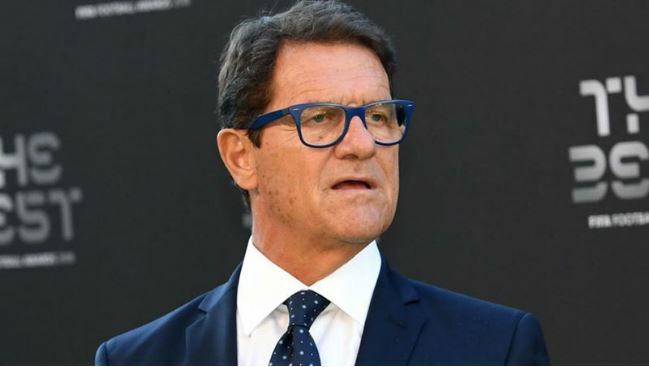 “The players should sit down on the pitch, and they shouldn’t be punished for doing it,” Capello said in a radio interview with state broadcaster RAI. Match officials in Italy are expected to report racist incidents to public security officials who have the power to stop games, although that did not happen during the Inter-Napoli match. The guidelines were introduced in 2013 after the AC Milan team walked off the field during a friendly match in protest at racist insults aimed at several of their players.